Visual Studio Code>Other>Markdown Imsize SupportNew to Visual Studio Code? Get it now. Adds markdown-it-imsize syntax support to VS Code's built-in Markdown preview. 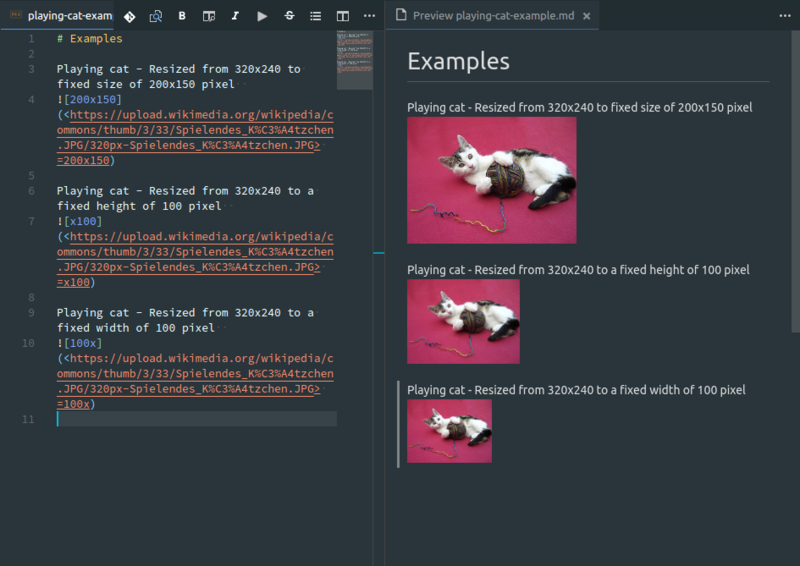 Overloads original markdown-it image renderer. Using markdown-it-imsize syntax the size of images can be specified in the markdown document. 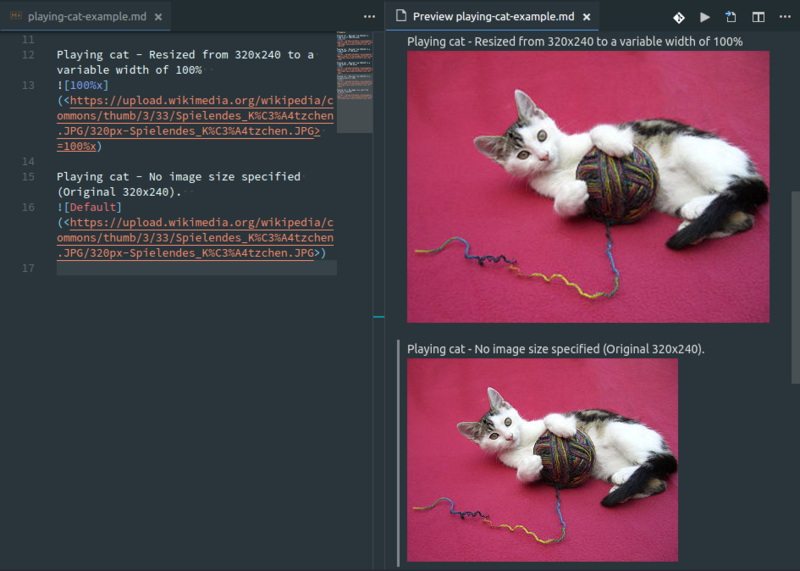 When viewing the document using VS Code's built-in Markdown preview, the image file will be resized accordingly. Note: Width or height can be omitted. In this case the aspect ratio is honored during resize.